Anyone who knows me in real life will be aware that I am a huge nerd/geek/fan-girl. Yes that is the official term. No I'm not embarrassed. What I mean by this is that I am academic & I totally in love with the whole nerd world. Fantasy, sci-fi, comic books, games, steampunk, films, table top RPGs... You name it, I have an interest. I may not have the 'training' or the range of some ppl but in my specialty areas I am pretty good (my main specialty area being Urban Fantasy novels with few vampire characters). With this in mind it is no surprise that I have a yen to go to Comic-Con. It's written into my DNA, like my desire to visit CERN or to do a PhD. Obviously, like the others, my M.E. has made the actual experience unlikely (I didn't manage to finish my A-Levels, I'm not going to get a PhD & I'm not sure CERN is that accessible). Thankfully WorldCon (Comic-Con's less well known, much more fun, older brother) is going to be in London this year & I got membership ages ago for my brother & I. 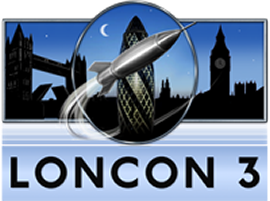 Okay so Loncon3 is a 5 day event, Thursday 14th August - Monday 18th August. Apparently "The World Science Fiction Convention (Worldcon) is an international gathering of the science fiction and fantasy communities. Worldcon attracts members each year from all over the world. In the last decade the convention has been held on four continents." I've never been to a sci-fi convention before - the closest I've come is IMATs or some tiny thing my town had one year which was really a fancy dress parade with a dealers hall tacked on - so I have been hovering over the website & the 'first WorldCon?" page with embarrassing regularity. 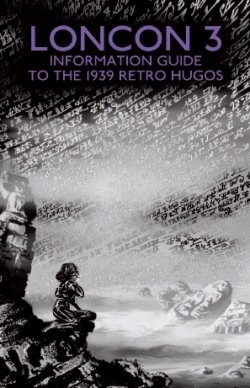 I've also been re-reading 'Deep Secret' by Diana Wynne Jones....let me tell you, what I don't know about this convention is probably not on the internet yet. Not to say that the only part of the convention I am looking forward to is the clothes, because it isn't. I have a feeling though the best bits will be all the bits that aren't on the programme, the people & the random late nights & the atmosphere. The access team are - so far - super amazing. They are really amazing & dedicated to making this a totally inclusive convention. I think this is going to be amazing. it sounds awesome. I went to Worldcon when it was held in Brighton, many, many years ago when I was still young. What can I say, you will have an amazing time and meet some awesome people. If your experience matches mine you will also watch an unfeasible number of strange films and spend a small fortune on books!